The concept of smart city does not concern only technology but also addresses the intention of preserving and conserving the resources valuable to us, through tactful technological implementations, writes Rama NS, CEO, Electronics City Industrial Township Authority (ELCITA). A family in Bangalore bought a nice home with a garden in a good neighborhood and were feeling great! But soon they felt that the expenses for running the home and maintaining it was very high and recurring. The family deployed some affordable solutions that brought down the costs by effective use of resources. They installed electrical devices that conserve energy, they installed smart taps all over their home that do not waste water. Roof top solar power, rain water harvesting, managing waste the right way,optimum use of vehicles gave value for money. Basically, they invested money where they found long term operations cost is controlled. Each member of the family actively participated in the smart home and continuously improved the use of technology. As per reports, each week, cities are growing by 1.5million inhabitants, and by 2050 more than two-thirds of the global population is expected to be in cities, which was just 30per cent in 1950. In India 40per cent of the population contributing to 75 per cent of GDP will be in the cities by 2030. The accelerating growth of cities and their disproportionate consumption of resources are unsustainable, and they need to be managed using state of the art delivery mechanisms. To maintain quality of life expectations in the developed world, and match these in the developing world, there is need to identify and implement innovative delivery systems to manage and control resource use in cities more effectively. SMART city systems are emerging as a major initiative to address resource management and economic growth in cities. The conceptualisation of SMART City, varies from city to city and country to country, depending on the level of development, willingness to change & reform, resource availability and aspirations of the city residents. Digital systems provide a mechanism for efficiently matching physical and social resource demand against availability through integrated real time collection of data, analysis, monitoring and response. This enables effective city management and economic activity and further can be used in long term planning of resource availability. I see SMART city initiative as a great opportunity to improve the infrastructure which is the back bone of SMART city. With improved delivery systems, Governance and financial transparency, citizens can have better quality of life and participate in the improvement of city. Considering the size and diversity of India, customizable solutions at affordable prices is the key to success of SMART city initiative. SMART Cities can have SMART Governance, infrastructure management, street light management, water management, mobility, environment monitoring, waste management, health care, housing, transport management, security and complaints management… This needs to be supported by strong communication networks – optical fibre, LAN, WiFi, RF, 3G….and device manufacturing. There is an opportunity to innovate and enjoy creation of new products and services for local and global SMART city market. Information and Communication Technologies (ICT): This creates a two-way channel between the citizens and the government. Governments and public authorities worldwide have made use of this to inform citizens of policies, achievements, and progress. With this, citizens have become media content creators, which was earlier a domain of news and media conglomerates. Citizens can decide the way they want their city to be built and run. Geospatial technologies: This provides an underlying foundation on which smart cities are built. These technologies pinpoint the location of the need inside a city or an area, informing authorities where solutions can be applied and where infrastructure can be tweaked. Sensors: An integral part of an intelligent system, it collects and gives large amount of useful data that authorities can use. These sensors can collect information about traffic, weather, air quality, energy usage, water resource available, humidity in the city, and other things. Internet of Things (IoT): The spine of a smart city. This connects everything and every device in the city enabling communication between each other. It can help make resource management decisions. Artificial Intelligence (AI):Data collected using sensors, cameras need to analyzed, understood and used for managing the specific domain. This can be helpful in areas like traffic management, parking management, healthcare, transportation systems, and surveillance. Robotics: It does not mean smart cities need humanoids that may turn rouge, but it is about automated machines that makes life easy. They are already in use in some cities of the world for mobility, traffic management, security, among others. Most machines are powered with AI to extend services to the citizens. Blockchain: A new addition to smart cities, it has transformed digital economy and how data is transferred and accessed. It secures data flow, it can connect to all city services boosting security. It can help in billing, transaction processing, facilities management, and energy sharing using the smart energy grid, and among other things. Video analytics plays a major role in management of city surveillance, traffic management, parking management, signal management, incident management and many more. A smart city is all about providing a better living conditions to citizens using technologies. Using technology, authorities can collect large amount of data from any part of an urban area and use the data to build smart systems to improve public services, create a sustainable environment, and improve quality of life. When we know how we are using energy/water, how much waste we are generating, what is the pollution level, what are the issues faced by citizens in real time, we can set up mechanisms to reach our goals for sustainable city. Public services: A smart city project is incomplete without connecting citizens with government authorities through communication technologies. Citizens can avail services using these communication technologies. With the participation of citizens, administration can keep a city safe, clean, and secure. Healthcare services: Technology can help people get access to healthcare services making patient care possible and paving a way for smarter healthcare services. Technology itself doesn’t determine smartness, but the way we use technology to manage our lives collectively is an indication of cities getting smarter. Collaborative creation of solutions usable across cities can give fillip to SMART city initiative in India. Simple affordable technical solutions with citizen participation is the key to success of smart cities. A smart city will pave way to participatory democracy, smart governance, transparency, and last, but not the least, environmental sustainability. Using collaborative approach, we have set up smart city solutions that help us in connecting with citizens and in managing the Township better. 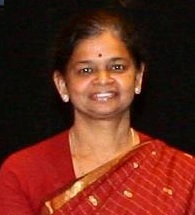 Rama was VP Infosys, Delivery Head for Product Engineering unit and Development Center Head for Infosys, Bangalore, before she joined as the CEO of ELCIA & ELCITA (Electronics City Industries Association & Electronics city Industries Township authority), member of city connect foundation. She is also on the academic advisory board of MSR and CMR management institutions. Rama has managed and grown accounts of the world’s leading business software providers and for blue chip communications OEMs and service providers. All along, she has been responsible for building and nurturing some of Infosys’ best Delivery processes, Knowledge Management practices and Customer interfacing capabilities. It was under her leadership that Infosys – Nortel Offshore Development Center received award for outstanding quality and service. The views expressed in this article belong solely to the author, and do not necessarily reflect the views of eGov magazine, a publication of Elets Technomedia Pvt Ltd.